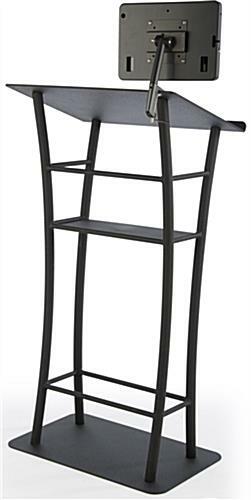 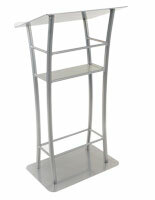 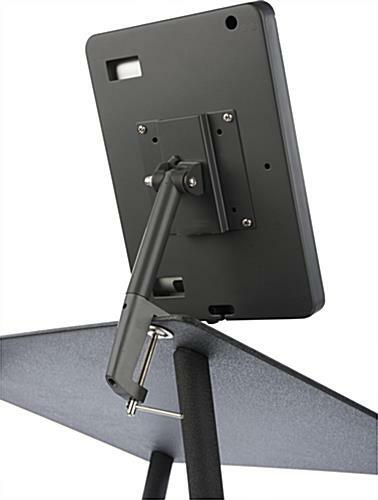 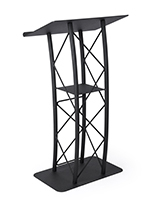 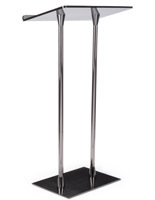 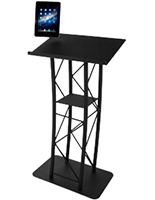 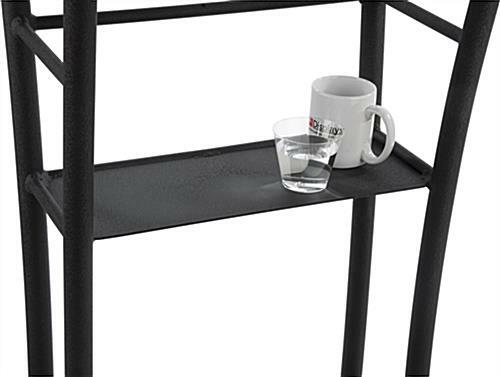 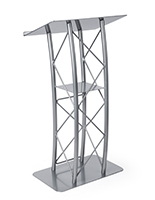 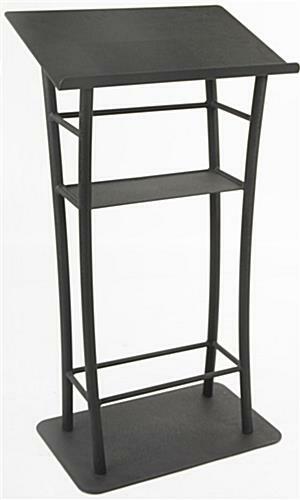 This tablet presentation stand is 47” tall and has a 25" wide desk for binders and supporting materials. 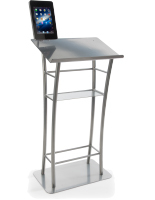 Due to the rotation and tilt, this lockable Apple© enclosure for generations 2, 3, and 4 iPad, + iPad Air accommodates most views for students or audience members. 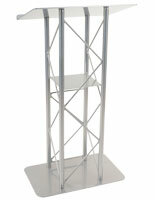 A hidden “home” button means programs can run on this stand in a teaching or retail setting tamper-free. 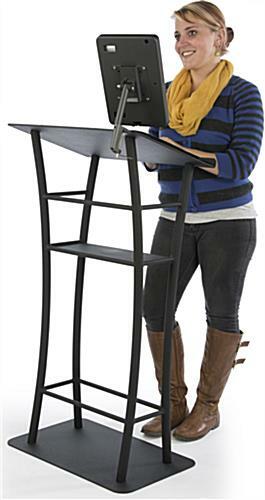 Classroom technology can be used optimally with this print and digital media lecture tool. 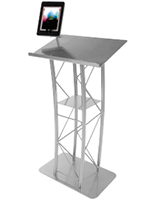 This Apple© stand for iPad is rotating and tilting, with a 17.75”W x 7”D shelf for personal items or equipment. 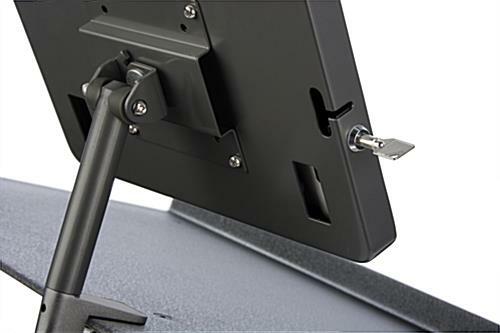 The lockable system is among the must-have classroom technology supports for effective business or teaching engagements. 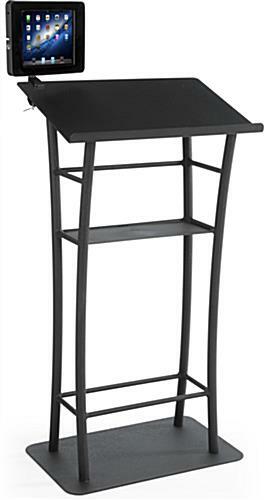 27.8" x 64.0" x 15.8"